On January 25, Stephan Kemperdick (Curator of Early Netherlandish and German Paintings at the Gemäldegalerie, Staatliche Museen, Berlin) will give a lecture at Musea Brugge. Jean Fouquet (ca. 1420-ca. 1480) is certainly the most important French painter of the late Middle Ages and early Modern times. His works are characterized by a unique blend of elements derived from French traditions, Italian early Renaissance, and early Netherlandish painting. Most obvious are his Italian inspirations, acquired by Fouquet during his stay in Rome around 1445, which made him the first in Northern Europa to depict classicising architecture and Renaissance putti and to construct correct perspective views. It has also long been recognized that the novelties of Flemish painting of the generation of Jan van Eyck and Rogier van der Weyden influenced Fouquet. He seems to have learned it early in his career, before he went to Italy. Usually, his works are compared to those of Jan van Eyck. 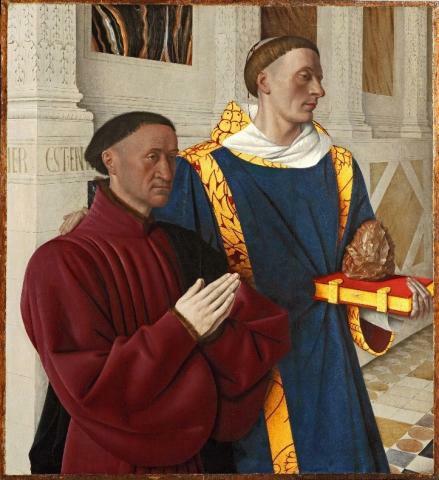 However, it seems that there are much more, and deeper connections with the art of Rogier van der Weyden. In this lecture the different aspects of Fouquet's reception of Netherlandish painting will be analysed.